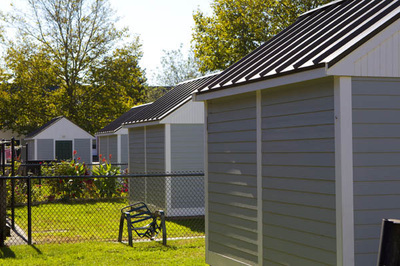 With the annual Awards of Excellence, NAHRO aims to recognize outstanding innovation and achievement in housing and community development programs throughout the country. Entrants in the Awards of Excellence are chosen from among the Award of Merit entries by NAHRO Regional juries and sent on to national juries for the choice of winners by competition. 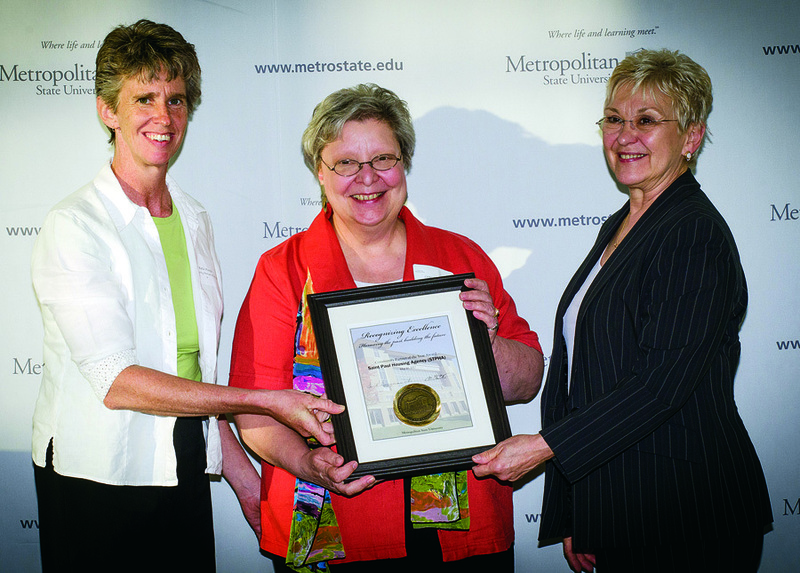 Winners are honored at the National Conference and Exhibition and in articles in the Journal of Housing and Community Development. See winners from past years here. Alameda County Housing Authority (Calif.) for providing electronic copies of the documents the Oakland Housing Authority needed to review and make payment, saving paper and mailing expenses. 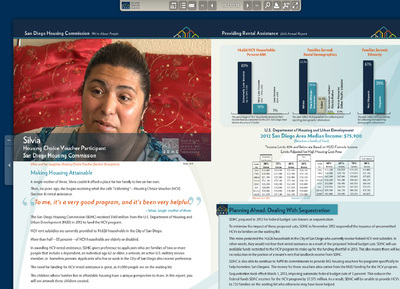 San Diego Housing Commission (Calif.) for creating two multimedia reports in-house. The reports are "live" documents, therefore, they can be updated to remain current. 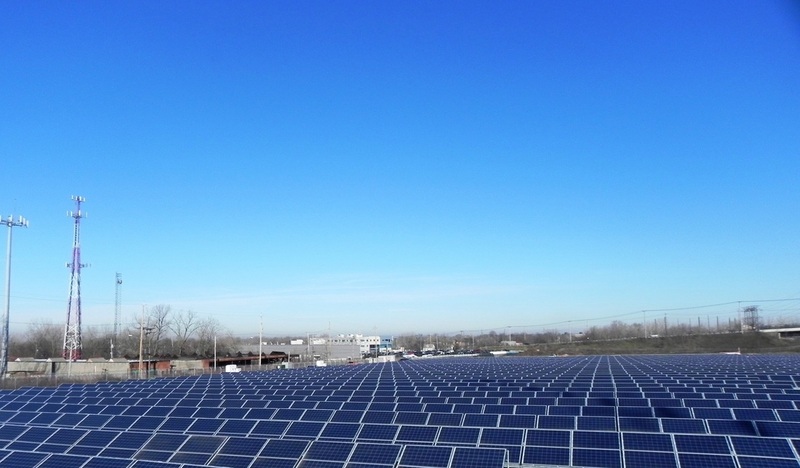 Cuyahoga Metropolitan Housing Authority (Ohio) for building a solar field to power headquarters. 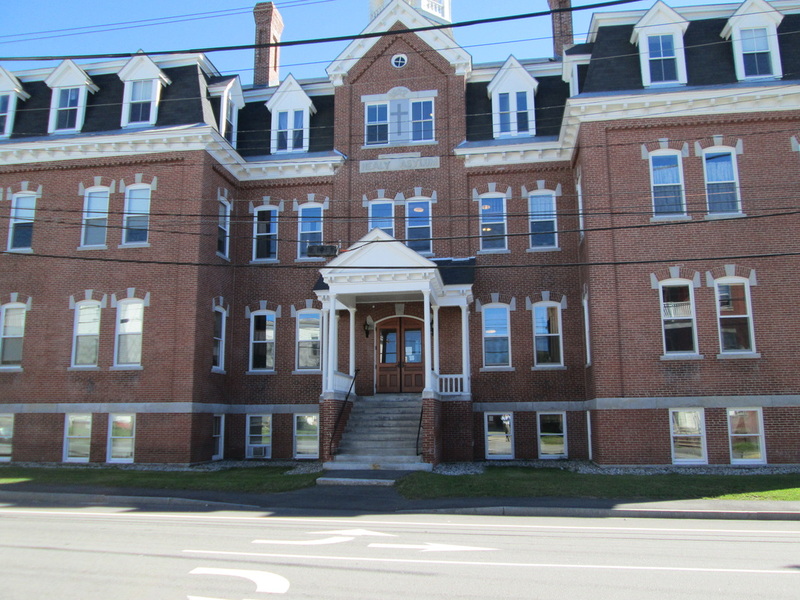 It came at no cost to CMHA, and can provide residents with jobs. Processing documents cost the Oakland Housing Authority a lot of paper, as well as weekly mailing. 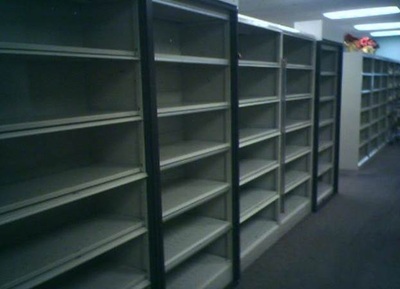 These shelves, once filled with documents, were cleared after Alameda County Housing Authority started providing documents electronically. 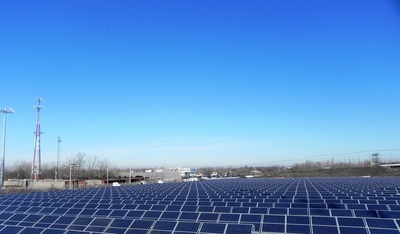 Cuyahoga Metropolitan Housing Authority's newly constructed solar field. A page from San Diego Housing Commission's multimedia report. 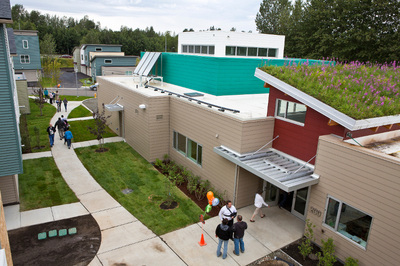 Cook Inlet Housing Authority (Alaska) for its redevelopment of Loussac Place. The new mixed-income units have a 5 Star Plus energy rating and give residents "a real sense of ownership." 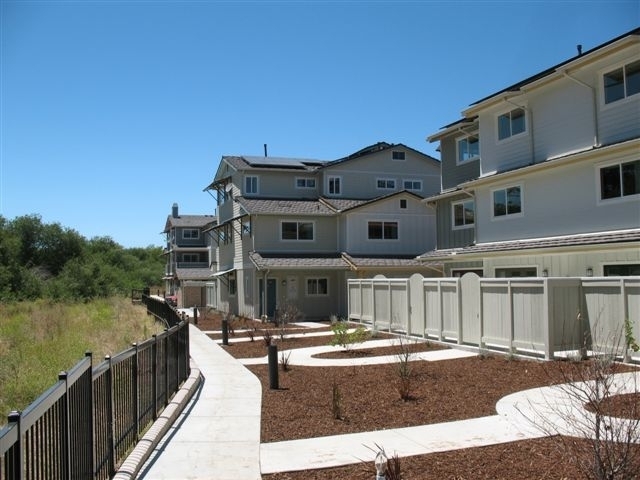 The Housing Authority of the County of Santa Barbara (Calif.) for completing Creekside Village, an affordable housing development meant for agricultural workers in the surrounding areas. Spokane Housing Authority (Wash.) for the renovation of Agnes Kehoe Place, providing affordable housing while preserving the building's history. 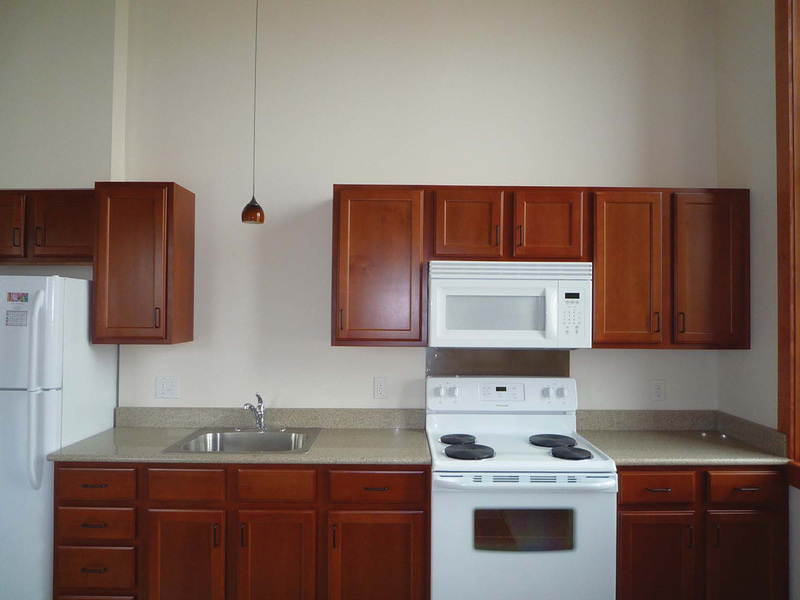 Kitchen inside a newly renovated unit at Agnes Kehoe Place. Aerial view of Loussac Place. Brockton Housing Authority (Mass.) 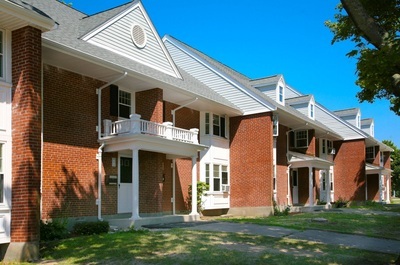 for renovation of public housing community Crescent Court, which was a part of a downtown renewal effort in Brockton. 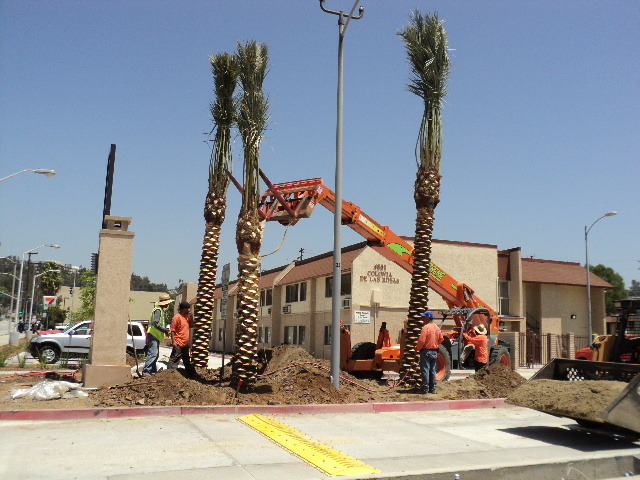 Housing Authority of the County of Los Angeles (Calif.) for the revitalization of Nueva Maravilla. Environmentally friendly measures were implemented there that also helped the housing authority save money. The newly renovated Crescent Court. Newly installed solar panels at Nueva Maravilla. 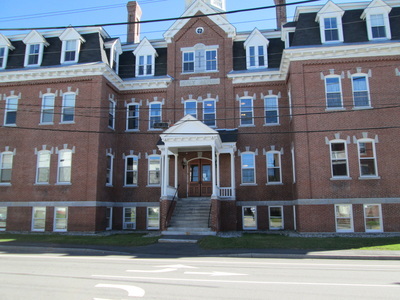 Lewiston Housing Authority (Maine) for converting a historic downtown property into 32 apartments for the elderly. The project also provided office space to the nonprofit Center for Wisdom's Women. Minneapolis Public Housing Authority (Minn.) for the Thomas T. Feeney Manor, an assisted senior living faciltiy, as well as Heritage Park Senior Services Center, which offers such services as physical therapy, adult daycare, a fitness center and therapy pool. Reading Housing Authority (Pa.) for installing an on-site combined heating and power plant that has reduced the housing authority's carbon footprint by 40 percent. 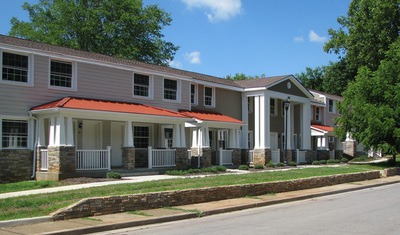 Murfreesboro Housing Authority (Tenn.) for the renovation of historic row homes into public housing units. 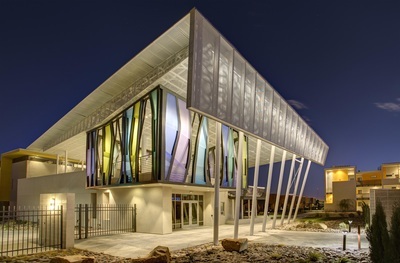 Housing Authority of the City of El Paso (Texas) for Paisano Green Community, the first net-zero, LEED Platinum, public housing community in the United States. 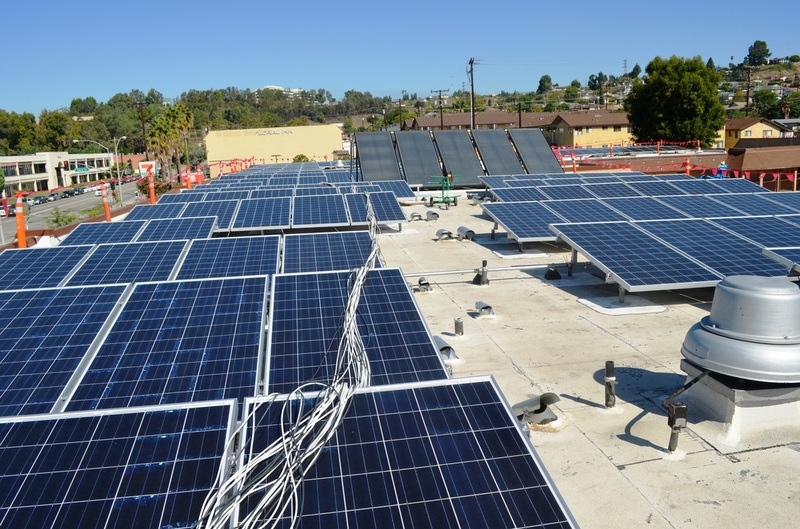 Energy is generated on site by solar panels and wind turbines. 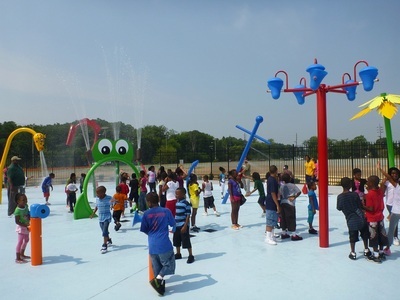 Portsmouth Housing Authority (Va.) for the construction of Westbury Splash Park, a recreational facility that is the first of its kind in the city. The newly renovated Healy Terrace. 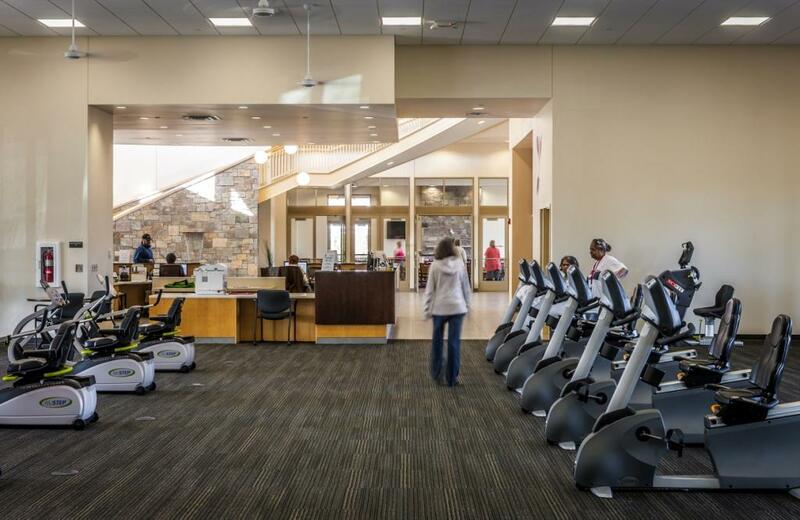 Fitness facility at Heritage Park Senior Services Center. 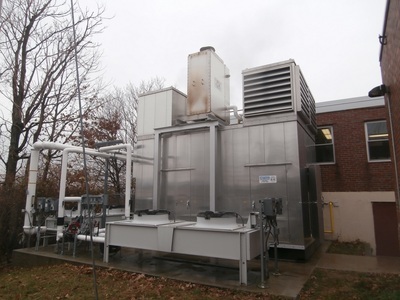 Onsite combined heat and power plant at Reading Housing Authority. 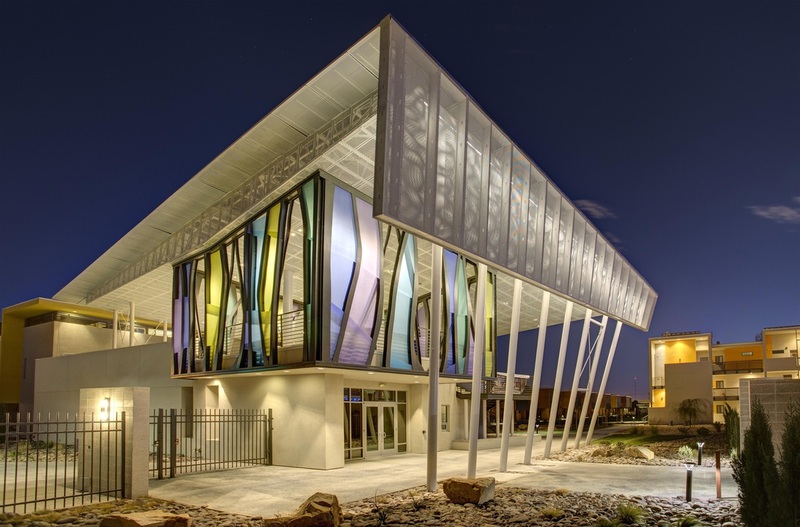 A nighttime view of the community center at Paisano Green Community. Once run-down row houses, Parkside is now the pride of the Murfreesboro community. 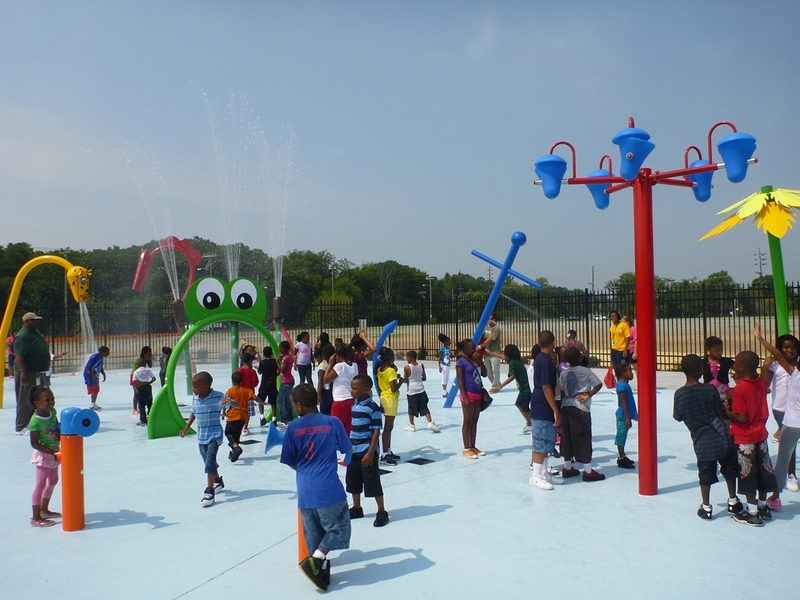 Kids enjoying Westbury Splash Park. 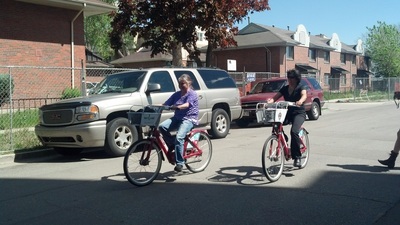 Denver Housing Authority (Colo.) for its partnership with Denver B-cycle, a bike-sharing program. Residents of DHA's Mariposa Community were offered free bicycle memberships, helmets, and safety training courses in an effort to increase mobility. St. Paul Public Housing Agency (Minn. ) for its partnership with Metropolitan State University, which brought supervised nursing students on-site to provide medical care to elderly and disabled residents. Southern Nevada Regional Housing Authority for the Sherman Gardens Safe Village Initiative, which brings community partners together to reduce crime and provide improved safety. Providence Housing Authority (R.I.) for the professional production of a documentary detailing the housing authority's experiences in implementing its smoke-free policy. The documentary has served as a resource to other housing authorities hoping to implement a similar policy. The Housing Authority of the City of New Braunfels (Texas), which supplemented its Section 8 Housing Choice Voucher program with funding from the HOME Program and the Tenant-Based Rental Assistance. 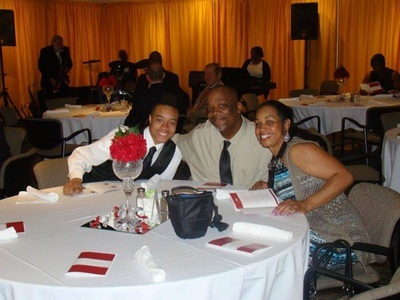 Portsmouth Housing and Redevelopment Authority (Va.) for its Education Foundation Scholarship program, which provides scholarships to both housing authority members and the community to help pay for post-secondary education and job training. 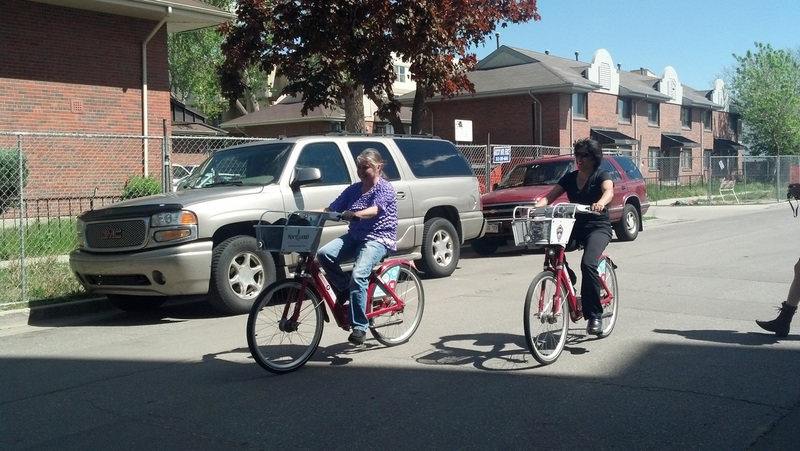 Mariposa Community residents get around on Denver B-cycle bikes. Recipients of Education Foundation scholarships celebrate. St. Paul PHA leadership with their Award of Excellence.